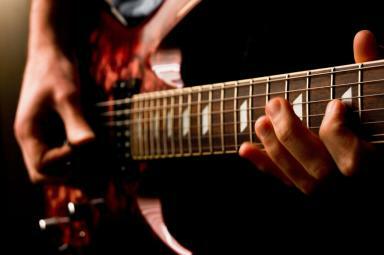 Last year, 25 of Scotland's 32 councils introduced fees of up to £524 for instrumental lessons. Last year, 25 of Scotland's 32 councils introduced fees of up to £524 for instrumental lessons but MSPs are now calling for changes to funding for the tuition. An inquiry into music tuition was launched by the committee and the findings are being published on Tuesday, with a recommendation to "re-examine" charges. Scotland faces "a tipping point for music tuition", committee convener Clare Adamson warned. Ms Adamson said: "There is little doubt about the positive benefits that music can have on us as individuals, as communities and indeed to the wider Scottish culture and economy. "However, for too many young people, these opportunities are being lost because of increasingly unaffordable fees. This is why our committee believes in the principle that music tuition should be free. "However, we recognise that in many local authorities, charging for music tuition is a reality and a decision which will not have been made lightly. This does not mean there is nothing to be done. "Local authorities must work harder to make sure that those who can afford it the least do not lose out the most. "This is why we have recommended that the funding for these services is re-examined and that more is done to extend concessions and discounts where possible. "Otherwise we are in danger of reaching a tipping point for music tuition in Scotland." During the inquiry, the committee heard evidence from West Lothian Council where almost 70% of pupils receiving music tuition dropped out after the charges - of £354 per pupil in the region - were introduced. When questioned about musical tuition by MSPs, education secretary John Swinney suggested some councils do not "recognise the value" of teaching children to play musical instruments but said he was not considering direct funding grants from central government for the service. A spokeswoman added: "The benefits to be reaped from learning a musical instrument are lifelong and we support arts and culture as a means of enriching the lives of Scotland's children. "The young people who engage with instrumental music now will be Scotland's musicians of the future and failure to invest in them will do damage to Scotland's musical heritage." Councillor Stephen McCabe, Cosla's children and young people spokesman, said: "No local authority makes the decision to introduce or increase charges for any service lightly. However, the financial situation for local authorities continues to be difficult and as a consequence councils have faced difficult decisions about funding for essential services. "All local authorities have committed to ensuring that that those on the lowest incomes or those who are studying for a music qualification are not subjected to charges."